This year may not be as great for property prices as 2015 was, but buyers may still be able to get a good deal in the suburbs as well as the townships if they know what to look for, finds Angelique Ruzicka. Property prices have been dogged by negativity since coming off highs in 2015. However, that doesn’t mean that prices will fall off this year. Even in tough times, there are certain players in the property market that could benefit. “The simple reason for this is real estate’s remarkable and well-documented ability to re-balance and create opportunities for both consumers and property practitioners in virtually any economic or political circumstances,” says Berry Everitt, CEO of Chas Everitt International property group. “People have been nervous to commit to buying, which is a long-term decision, without the certainty of knowing in which direction our country will be headed for the next eight years,” points out Grant Gavin, who owns two Re/Max franchises. “Things may have appeared sluggish towards the end of 2017 as buyers adopted a ‘wait-and-see approach’, too nervous to make decisions before the ANC’s elective conference. But this could soon change now that decisions have been made and the dust has settled. Back in 2015, Professor Francois Viruly, a property economist, pointed out that the property market in the township areas was rising much faster than in the rest of South Africa. This was fuelled mainly by the eight-year prohibition against selling township houses lapsing, so it was a great time to fix up properties and sell. However, fast-forward to 2018 and this sector appears to be struggling as much as, if not more than, those in the suburbs. “The township market is starting to lag somewhat compared to the rest of the market. In other words, the middle- to lower-income market is seeing the impact of low growth and conditions of the economy,” says Viruly. Many young black professionals, particularly in Cape Town, are buying in the townships because of affordability. “It may not be about whether you want to live there but it’s more about what you can afford,” he explains. If you do decide to invest in the townships, it may be best to opt for a buy-to-let property, where your returns come from rental income rather than selling the property for a higher price. Flipping a property (buying and then fixing it up to resell) in this sector was doable back in 2015, but it’s more difficult now because of low exposure and high fees. “I’ve seen the commissions asked for by some township agents as high as 20%. A lot of them [the properties] are difficult to sell; conveyancers find it a difficult market to work in so the transaction costs can be quite high,” adds Viruly. As for the suburbs, market conditions should continue to favour buyers as we head further into 2018. “This puts a lot of pressure on to sellers who need to ensure that their properties are correctly priced to attract activity but also to be more negotiable to good offers,” says Gavin. But, if they get it right, interest from international buyers is also likely. Everitt believes foreign buyers with cash to spend will take the opportunity now to purchase luxury South African property at a discount in order to make the most out of a market upturn after 2019, if not before. WHAT TYPES OF PROPERTIES WILL BE IN DEMAND? If you’re selling in the suburbs, you’re in luck if you have a lock-up-and-go property, especially if it’s in a secured estate or one that appeals to new entrants to the property market. 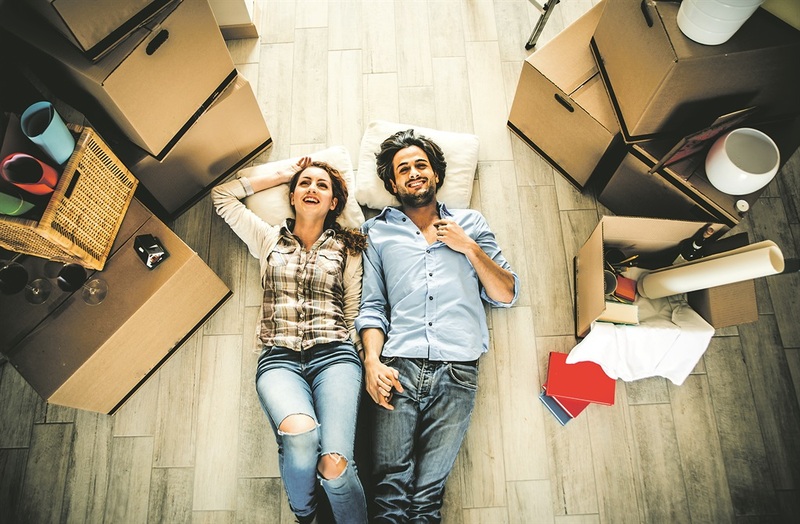 “We expect that lifestyle will continue to drive flourishing sales in top-end security estates, and that there will also be very strong demand at the low end of the market in the R400 000 to R600 000 price range, driven by first-time buyers and by investors purchasing buy-to-let properties, as well as repeat buyers who are scaling down to smaller homes that require less maintenance and are cheaper to run,” says Everitt. You should also get a fair price if your home is in an area where there are lots of amenities. Schools are another major consideration for buyers so, if you are a seller with a home near a popular school, you could command a decent price. “Properties located within the catchment areas of well-known, good schools, will always be a good investment, provided the surrounding suburb remains in good condition,” says Gavin.